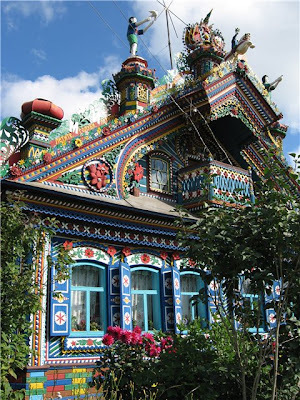 A psychedelic house of Russian blacksmith in a Russian village near Yekaterinburg city. They say the blacksmith himself has already passed away and his wife gets offers to sell it regularly but she denies them. 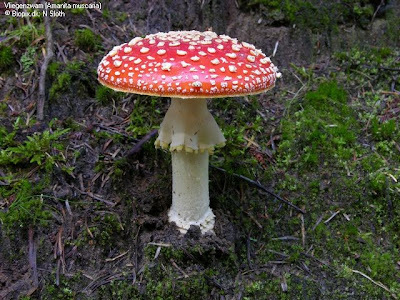 Though it is generally considered poisonous, Amanita muscaria is otherwise famed for its hallucinogenic properties with its main psychoactive constituent being the compound muscimol. 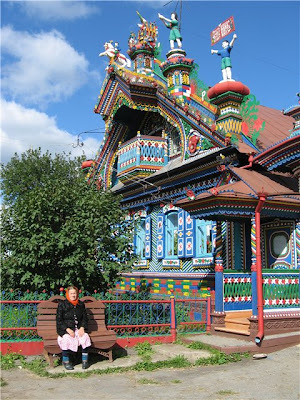 The mushroom has had a religious significance in Siberian culture and possibly also in ancient Indian and Scandinavian cultures. My research on the Amanita mushroom led me to your site. Despite all the evidence of the religious use of narcotic mushrooms recorded in the Pre-Columbian codices and described in the Spanish chronicles, the archaeological community as a whole has been surprisingly reluctant to recognize and accept the important cultural and religious role played by mushrooms in ancient New World society. Both my father archaeologist Dr. Stephan F. de Borhegyi and R. Gordon Wasson, a well known ethnomycologist, noted this fact over a half century ago. Though both added enormously to the body of published ethnographic and archaeological information on the subject, it remains to this day virtually unknown. My intention in creating my web site (mushroomstone.com) is to present convincing visual evidence that mushrooms are not only frequently identifiable in the prehistoric art of the New World, but that in Mesoamerica in particular, they played a major role in the development of indigenous religious ideology.